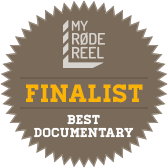 In 2012 we entered the Rode Rockumentary film competition with our documentary 'Soundcheck'. This time, instead of focusing on how technology (like Rode microphones) enables musicians, we decided to go back to our roots and explore our musical heritage. Tradition and technology side by side. Inspired by the cultural music and instruments of Uganda we remixed the original song using traditional acoustic instruments. Then we fused this with modern dancehall beats to create a genre new to the Ugandan music scene. But as always the question remains: will anyone dance to it? Filmed with a Canon DSLR. We used a Rode Video Microphone that we won in the 2012 Rode Rockumentary competition. All audio in the studio was recorded on a Rode NT1A. All video audio was captured on a Rode NTG2 with a Blimp and Boom, on to a Roland recorder. Filmed on location in and around Entebbe in Uganda.